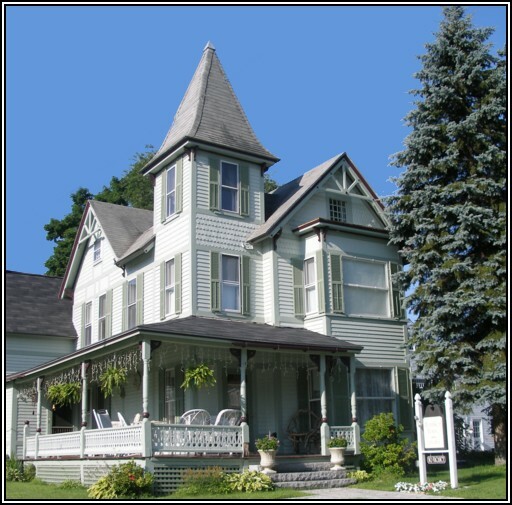 Henniker House is a bed & breakfast, meaning we’re different from a hotel, motel or hostel. We’re happy to share this historic residence here on the Contoocook River with you, and want you to feel at ease and enjoy your stay. A review of our policies will help ensure that your visit is a great one. Ted the Standard Poodle enjoys being the only B&B pet. We can refer you to A Precious Pet Resort and Peace and Paws if you are traveling with your pet. A note to guests with allergies: Ted does not shed, and does not have access to the guest bedrooms. Your reservation will be secured by credit card. Should you cancel with fewer than 21 days notice, a cancellation fee will apply. For standard dates, the cancellation fee will be calculated based on a single night’s stay or half of the scheduled stay, whichever is greater. For holiday/special event dates, the cancellation fee will be equal to the cost of the minimum stay. Henniker House is entirely smoke free. Our house and property are for the use and enjoyment of registered guests only. Check-in time is between 4:00 pm and 6:00 pm. Please call us if your arrival time changes. Though we try, we may not be able to meet all special dietary requirements. There is, however, a refrigerator available for guests’ use. Self-serve tea and coffee are available. Be sure to ask on check in so we can show you the set up. Complimentary WIFI and free parking are provided for our guests. A two-night minimum applies to all weekends from December 15 to March 31, May 1 through November 3, all holiday weekends, and February School Vacation week. A three-night minimum applies to Columbus Day weekend. Weekend/Holiday rates apply every day during leaf season from mid-September to November 3. If a room is still available 5 days before, the multiple night minimum may be lifted. Please ask to be put on our wait list. We will contact you if the multiple night minimum is lifted. We have some flexibility; so if you are unsure, please call to discuss. A $15 per night premium may be added for special events such as NEC alumni and graduation weekends, and single-night stays during high demand periods. All rates are subject to a 9% New Hampshire rooms and meals tax and include breakfast. 10 Ramsdell Rd. at the corner of Main St.